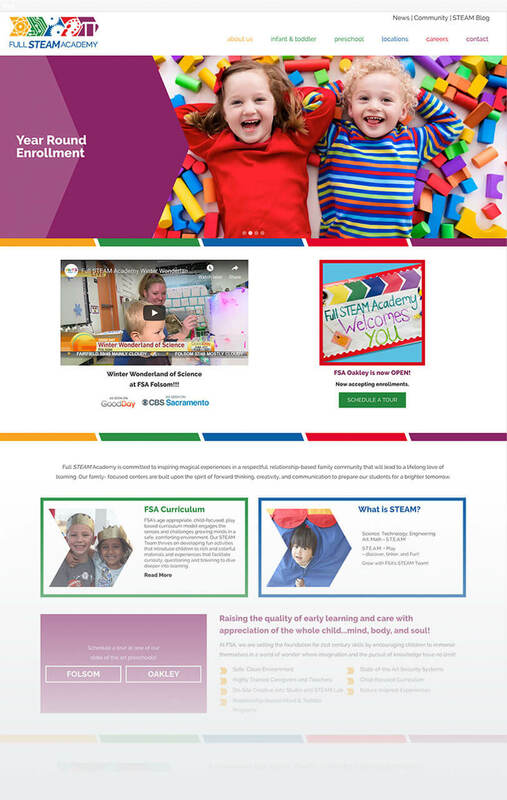 The web design for Full STEAM Academy is fun, colorful and in keeping with their brand. 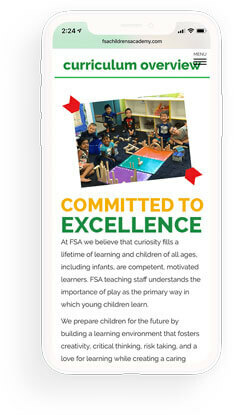 Leap implemented a booking solution so potential new clients could schedule an appointment online for a preschool tour. 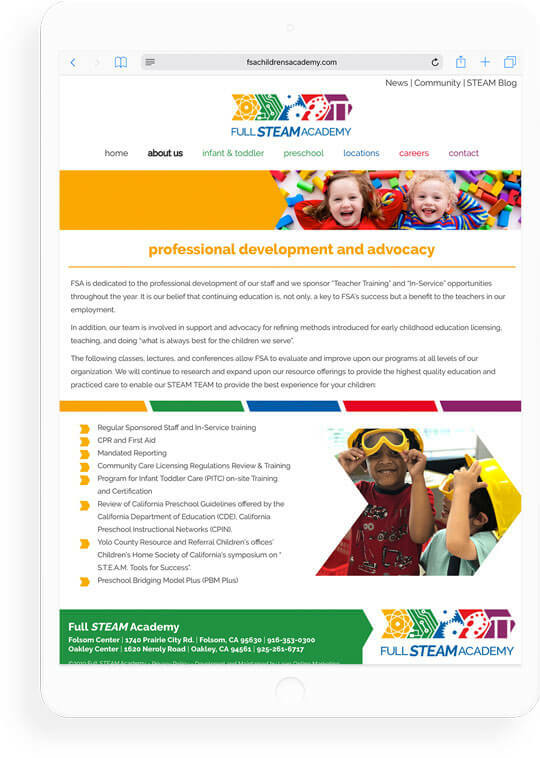 Full STEAM Academy (FSA) contracted “with Leap Marketing to develop our brand, “ build a website as well as establish a marketing and on-line strategy to launch our new venture. 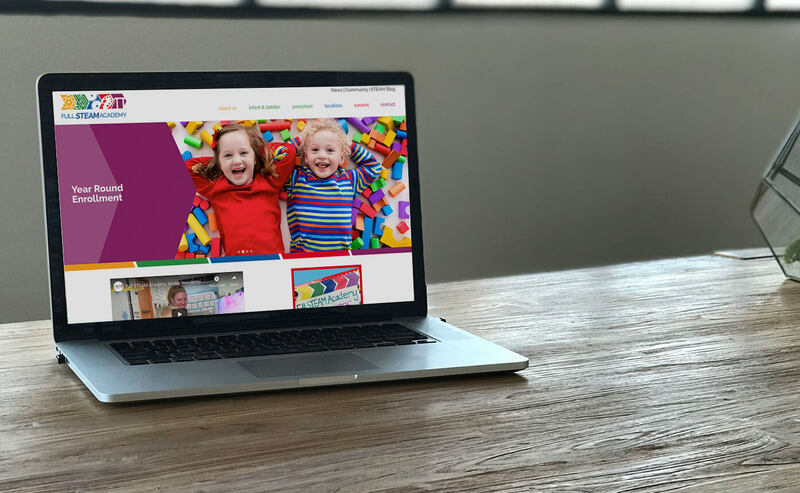 The Leap Marketing team’s expertise and knowledge helped us extend the brand across many digital platforms including web, social media, email, and all corporate communications. 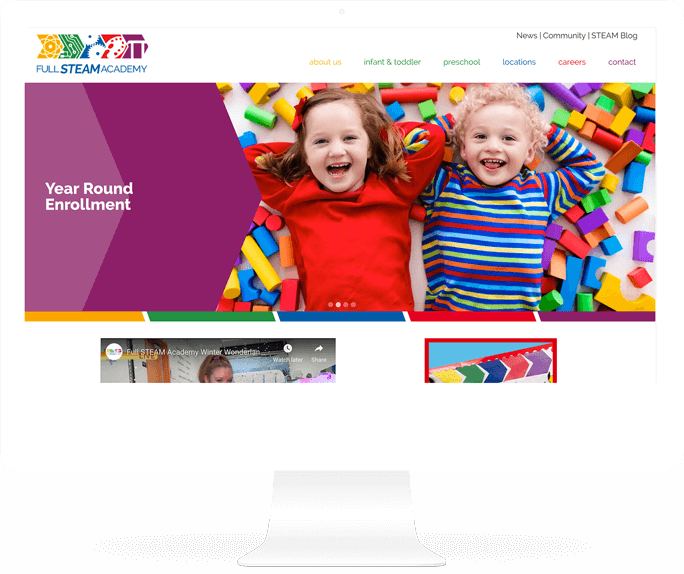 Leap also handles the design, production, tracking, and distribution of our print media, marketing collateral, facility signage, trade show booths and uniforms.  The talent and flexibility of the Leap account and project managers has allowed our organization to grow confidently.  As we continue our ongoing partnership, we look forward to marking our two-year milestone and appreciate Leap’s professionalism in all of our endeavors.